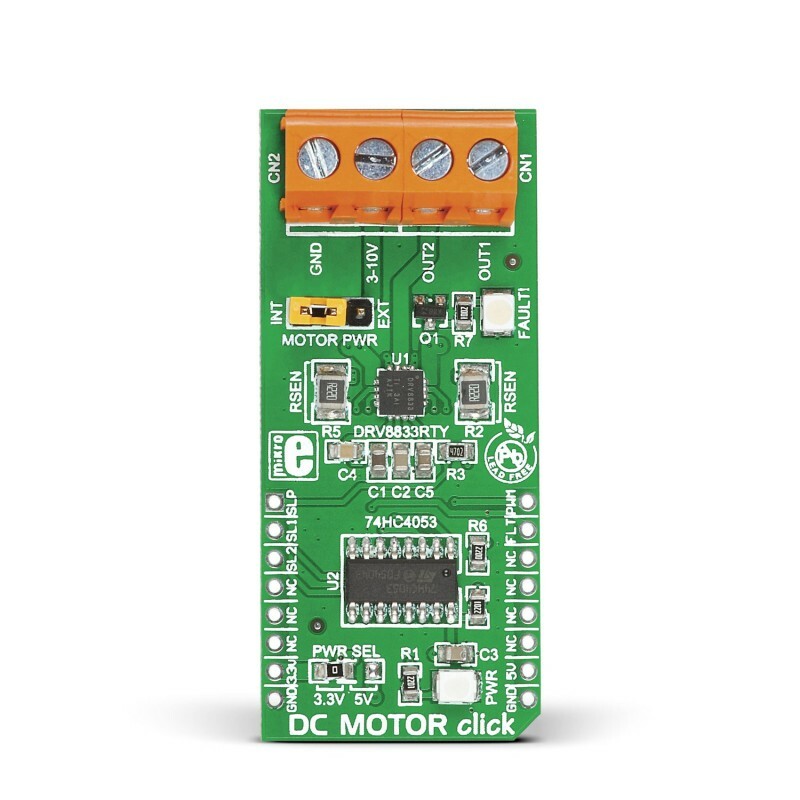 DC MOTOR click is a DC motor driver board in mikroBUS form factor. It features the DRV8833RTYH-Bridge motor driver, 74HC4053 multiplexer and two screw terminals. 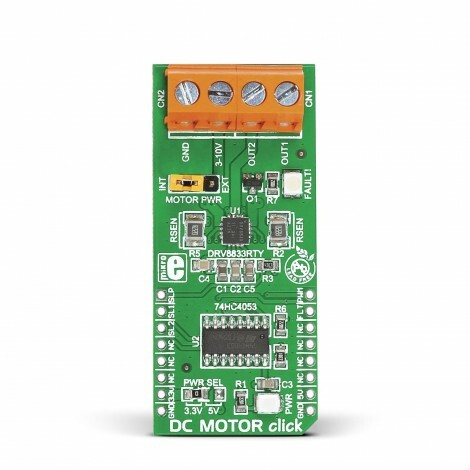 DC MOTOR click is a DC motor driver board in mikroBUS form factor. 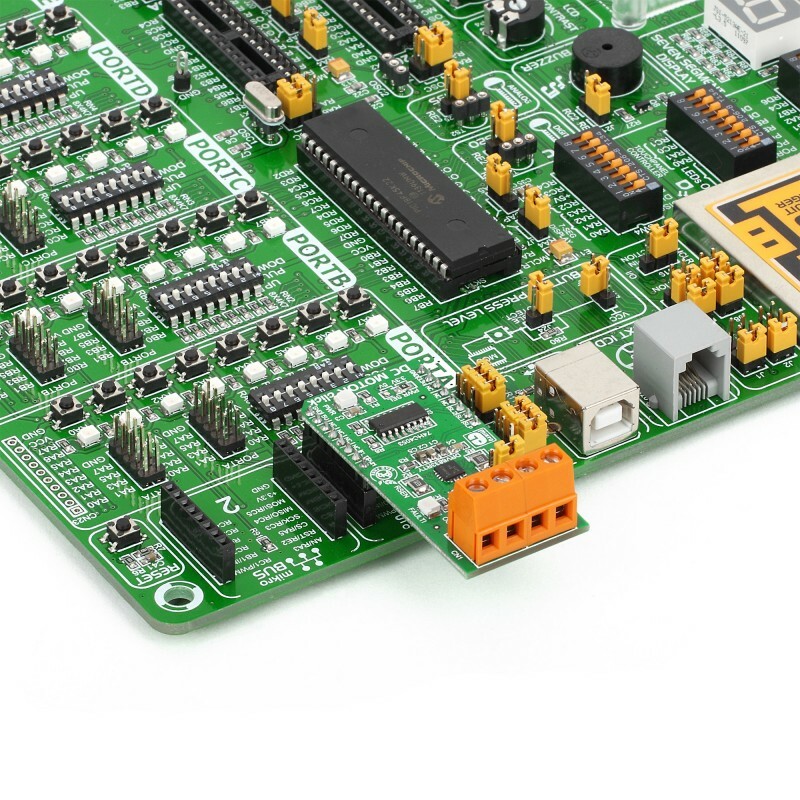 It features the DRV8833RTYH-Bridge motor driver, 74HC4053 multiplexer and two screw terminals. 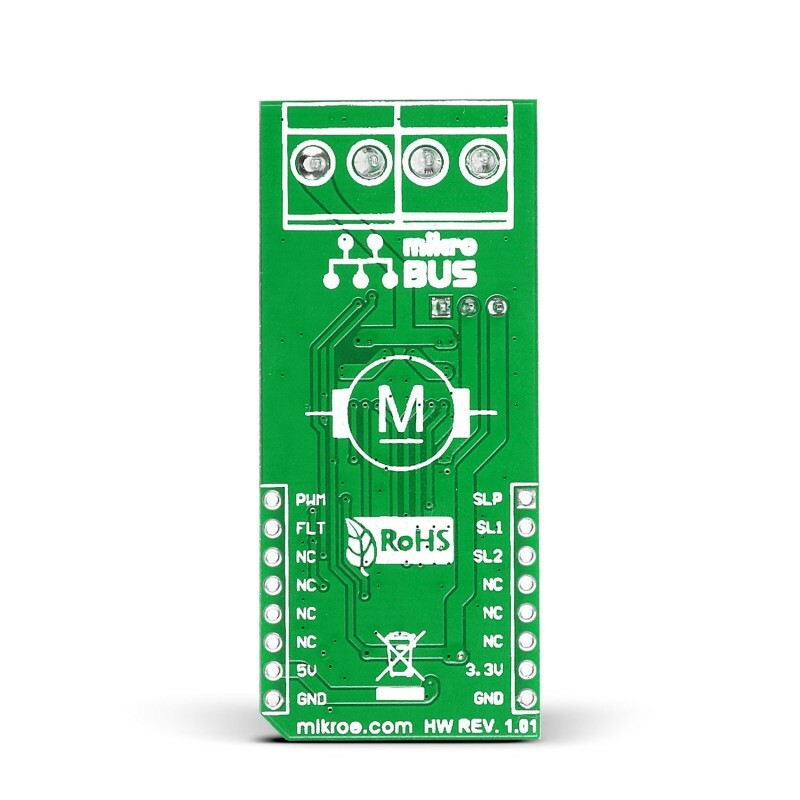 The 74HC4053 IC is incorporated into the design in order to run the motor with only one PWM line available on the mikroBUS™ socket. DC MOTOR click communicates with the target board via SELECT1, SELECT2 and nSLEEP control lines, PWM input line and nFAULT feedback line. 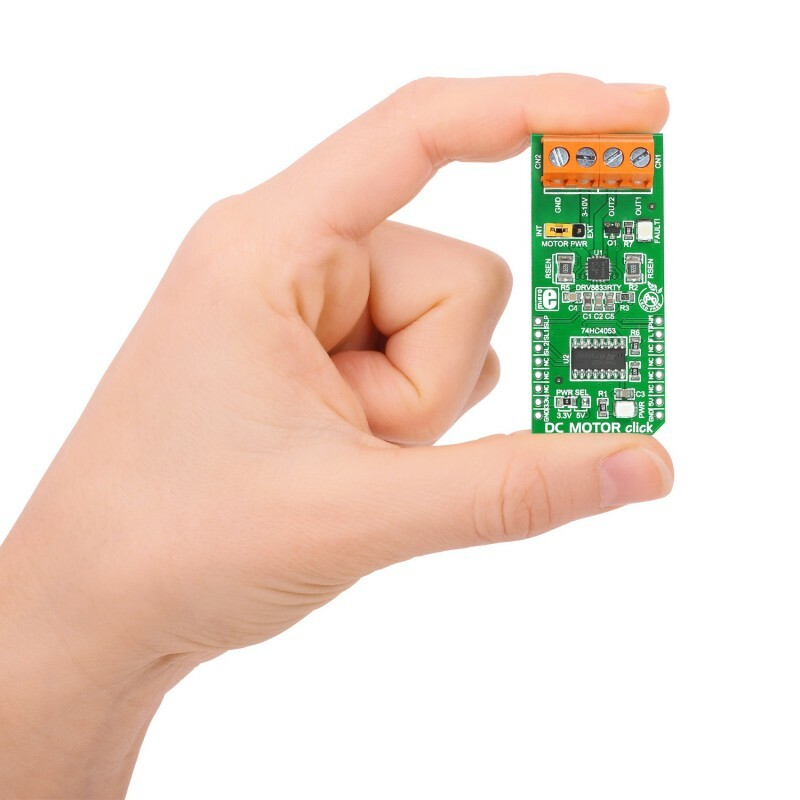 The board is designed to use 3.3V or 5V power supplies. It can be powered either from the mikroBUS socket or externally through CN2 terminals. It is limited to a 0.9A driving current with 0.22O current sense resistor. The motor is connected to CN1 screw terminal.